How many languages does Any DVD Cloner Platinum support? Q: How many language does Any DVD Cloner Platinum support? A:Any DVD Cloner Platinum can support 6 languages: English, Chinese, Japanese, French, German and Czech. 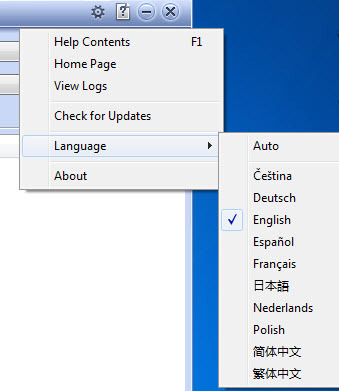 You can change the language by clicking "?" on uppper right.